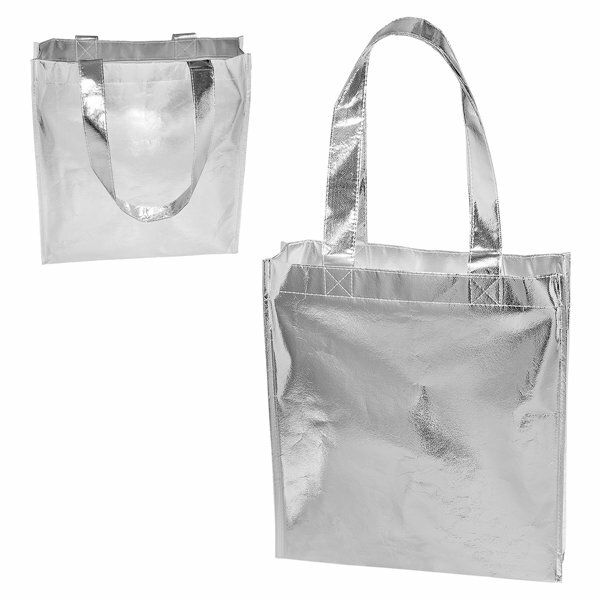 Retail style metallic silver tote with large open main compartment. Made from laminated 80 GSM Non-woven Polypropylene. Expands to 3.125” at bottom. Do not wash, spot clean only.Do not iron. Bulk / 17 lbs lbs / 100 pcs pcs. / 13 x 18 x 16box.